Long gone is the time where learning at school primarily revolved around the use of blackboards, chalks and textbooks. The wide adoption of smartphones and tablets by students inside as well as outside the classroom has made studying more engaging. Such devices have enabled them to research a wide array of information instantaneously and utilise apps which make subjects easily digestible. Likewise, the accelerated rise in tech has taken the heavy burden off teachers for being the only source for providing accurate information, facts, graphics and stats during lessons. Consequently, these types of benefits have encouraged schools to annually spend an astonishing £900m on education technology. With recent figures from The Prince’s Trust showing that 31% of teachers consider the development of soft skills more important than achieving good grades, TeachingAbroadDirect.co.uk analysed findings from global education technology company Promethean World, who surveyed over 1,600 educators from across the UK to see if teachers believe technology has hindered the ability for students to learn and acquire soft skills. Soft skills referring to the personal attributes of an individual that enable them to effectively interact with others. They are not tangible nor are they qualification-based. TeachingAbroadDirect.co.uk found that 63% of teachers think technology has hindered the interpersonal skills (collaboration, listening, manners etc) of pupils the most. Thereafter, 58% of teachers feel technology in the classroom has deterred the emotional intelligence of pupils (the ability to understand and manage their own emotions, as well as others). Communication is the third soft skills which teachers consider to have been significantly hindered by technology in the classroom at 41%. On the other end of the scale, only 7% of teachers believe technology has setback the researching capabilities of pupils. 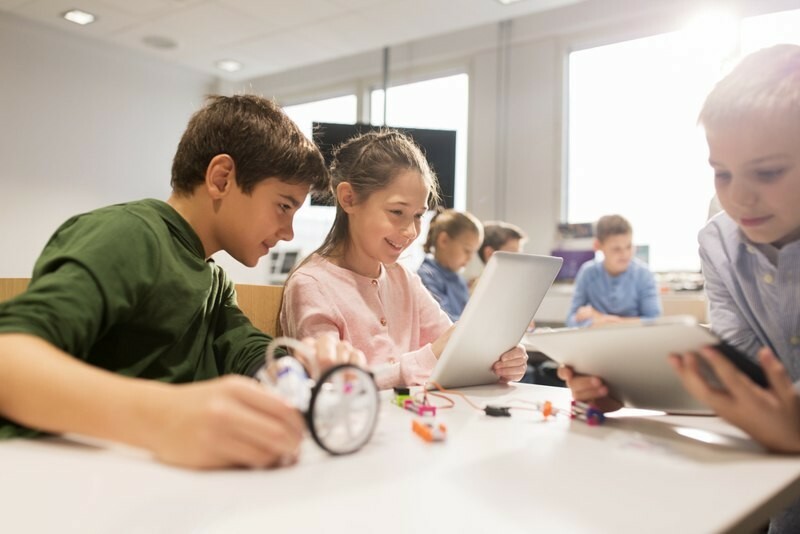 Just slightly above by 1%, only 8% of teachers think a pupil’s technical literacy has been harmed by the presence of technology in the classroom. Perhaps unsurprising, given the long amounts of time that pupils now spend interacting with technology – they are now more digitally savvy and competent than ever before. Moreover, according to the report, 57% of teachers place online assessments as the technology which will have the biggest growth in education over the next five years. Within the same time frame, teachers think online content and resources (56%) is the technology that will have the next most substantial growth, followed by cloud-based lesson planning and delivery tools (41%). Interestingly, teachers feel virtual reality (15%) will have the slowest growth in education over the course of five years. “There is no doubt that technology has transformed teaching. It has facilitated teachers to better prepare themselves for lessons and aid the learning process for students. Despite this, what this research shows is that teachers have concerns about how technology is adversely affecting the soft skills of pupils; which are fundamental for their successful transition into the working world. To overcome this apparent problem, the education system needs to configure how best to merge traditional teaching and technology without compromising on the development of soft as well as hard skills”.